Discussion in 'Discussion & Q&A' started by Spanner, Jan 22, 2018. I don't think we're at the stage where we need to split the contest, it would indeed be more work for a lot of people across the board, we're fortunate to be able to get people together for at least a few weeks in a year and most people for just one week in a year. You're not the only one who has suggested a split though, but I don't think we need to do anything about it right now. As long as we've got judges who can play all (or most of) the entries things should be fine. What we should be looking at is seeing if there's anything in the Quality Control that we need to adjust specifically for these 3D entries. The separate trophies were to give recognition to those sections as it was felt that it was mostly awarded to 2D hacks at that time. If we need to add more trophies, it's what we'll do. The Contest Week will start in a few hours time, so please be patient, you'll be able to download the entries very shortly. maple_t and Dj. Joker 27 like this. Just to be clear, I am not suggesting a split. I am saying, if we have all trophies for 3D be separate from 16-bit and 8-bit, its gonna feel like the contest is split up. Hey! The day and week finally arrived so, I'm ready to test the hacks and funny me during this week so, I wish good luck since now until December 2nd. I'm fascinated and excited for the test these hacks, I hope this year will be nice and all we can enjoy this. I will stay here to follow the streams and watching both platforms 2D and 3D, good start to the Youtubers and Judges since now . I'm really anxious about the streamers trying my entry. But if I have the time, I'll hopefully (Since I'll be in class) be able to pop in and help them with any issues they're facing. See you at SHC 19 with Sonic 1 Encore and 20 with Sonic Kyukyoku [definitive]. But Team Kyukyoku might get off task, so don't get your hopes up. Now to crawl back into my cave until I do something noteworthy. Christmas hack? Nah. Dj. Joker 27 likes this. The site has gone live now, so go and play the entries! Don't forget you can sign up for an account and vote for the Community Trophies - you do not need to be verified with Sonic Retro or SSRG in order to do that. The Mini Contest will be posted later today, still got some site work left to do for that. Best Mega Drive / Genesis Sonic hack submitted overall. Best Sonic Mania modification submitted overall. Best art in a Sonic Mania modification submitted. Best level layout in a Sonic Mania modification submitted. Please note if anyone has downloaded Tropical Resort ReBoosted and have had issues getting it to run, download it again as the hardware issue has been fixed. Emerald Coast in SA2 has also been updated to fix a crash in the level which people were experiencing, this issue had already been fixed weeks ago but it was not on the site yet. Team Dark - SA2 Edition requires the Reloaded File Director (Legacy) enabled in the Mods tab of the Mod Loader in order to work. STH2006 Project Demo 4: The link for the 06 Model has now been fixed. Remember to put it on higher priority for it to work. Dj. Joker 27 and Natsumi like this. Day 1 is here, so time for me to stream. Check it out here! Is anyone else unable to have the two Sonic 2 8-bit hacks load-up? I play on Fusion, and it just goes from the SMS bios screen to a black screen with the text "software error" in both cases. I don't think anyone else has this issue, Kega can play Master System entries by default. Things have been going well so far, not had any problems with the website from what I'm aware too. Also, when voting for Community Trophies, please read the trophy description carefully. If a trophy specifically mentions 8-bit then do not vote a 16-bit entry for it, you're just wasting your time. It's certainly something that needs to be looked at for a future site update because this keeps on having to be mentioned every single year because some people don't get it. My Contest Week Day 2 stream is going live! Please join me as we play some more of the Contest and Expo entries! Is there a button to "submit" my votes, or are they automatically sent? They're immediately saved on the spot. You can tell because reloading or switching to a new entry shows the name of the entry you voted for on the trophy button. Hopefully everyone is enjoying the Contest Week so far. If an entry doesn't have a thread on here, please use this thread to talk about it instead. There's still plenty of time to vote for the Community Trophies. It should be interesting as to what wins a trophy this year, especially as the ongoing Community Trophy votes are being hidden until the results are announced. 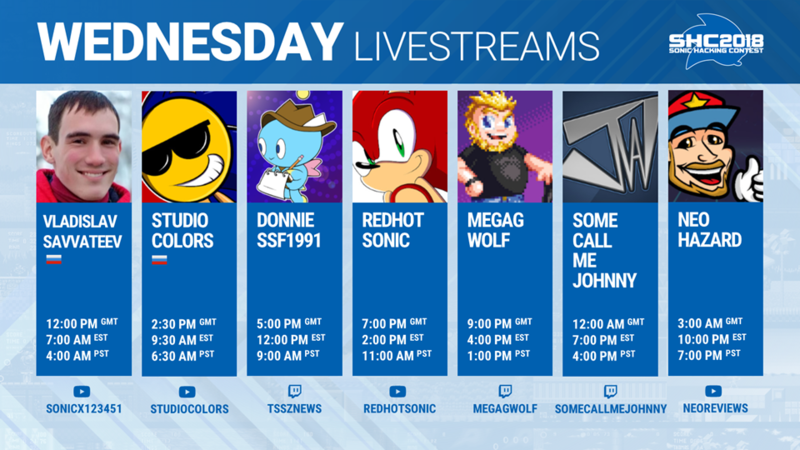 Contest Week Day 3 is here, so my stream is about to go live once again! It's time to play some more of the Contest and Expo entries! Cinossu has now got up a page on the website with links to previous streams as well as prerecorded content from our other Media Panellists. Please note that not everything is up yet, there's still some videos to be added and also some streamers do not yet have some or all uploads of streams available. It is up to them whether they archive their streams or not, however most will be available from that page. 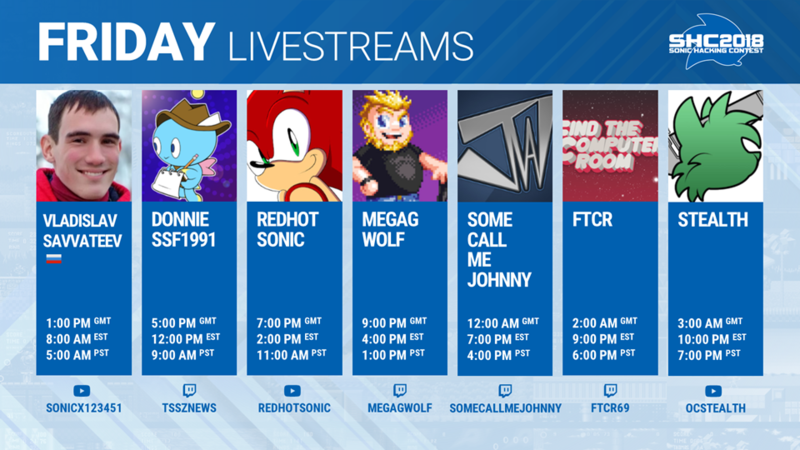 FTCR will be streaming this year on Friday and Saturday. 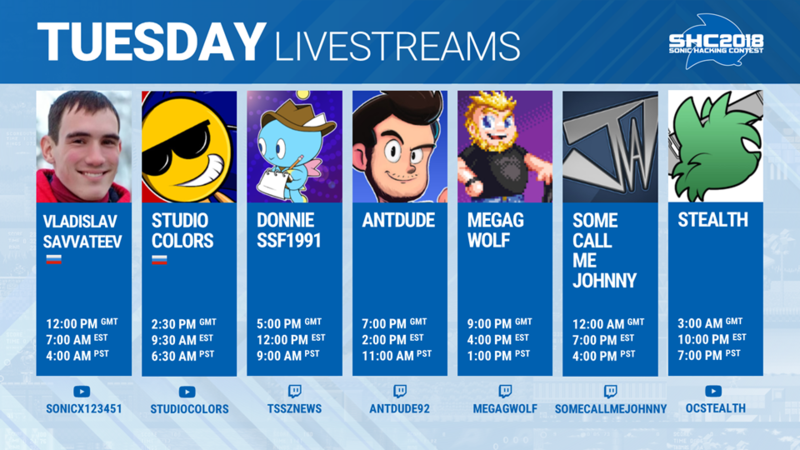 The schedule on the website has been updated, as there is an additional stream from VladislavSavvateev and also another stream has changed its start time. Due to time constraints we have decided not to do the Mini Contest during the rest of the Contest Week, as it relied on having things be submitted using the website, which is not in a position to be done this year due to work still required. We had every intention to bring you the Mini Contest and we had things prepared to give to you to take part in it, but we didn't want to fallback on using the archaic email submissions without possible entry pages and we also wanted to give you at least five days to work on the thing, which just is not possible now. We're hoping to bring you this Mini Contest later next year, possibly during SAGE 2019. 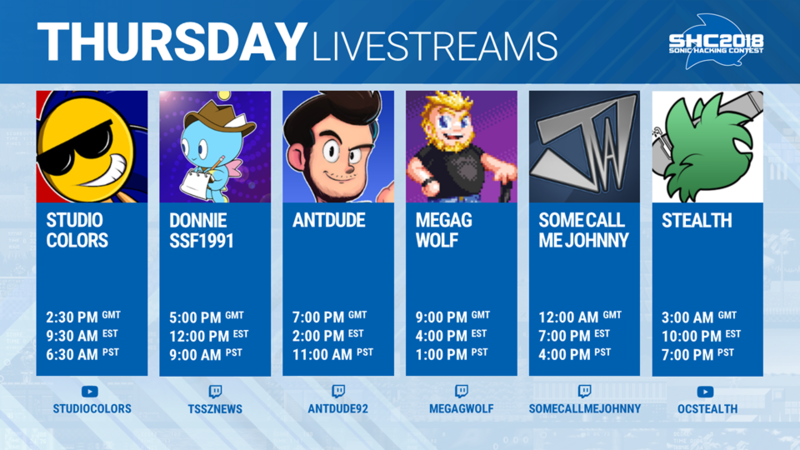 It is time for me to stream for Day 4 of Contest Week! Check it out here! Sorry for the delay, kinda forgot to do this, had to redo the image a few times to get the fixed times on it. We are on the last few days so if anyone hasn't covered your entry, it should happen around now. The Media Panel have tried their very best to cover as much as possible although there are a few entries that have been a little problematic at times to set up so apologies if this has occurred to anyone who has an entry in. The vast majority of entries have been covered, stream coverage does depends on the amount of streams and amount of entries, fair coverage for 2D and 3D, Contest and Expo has been requested but it is up to the streamer what they show in the end. 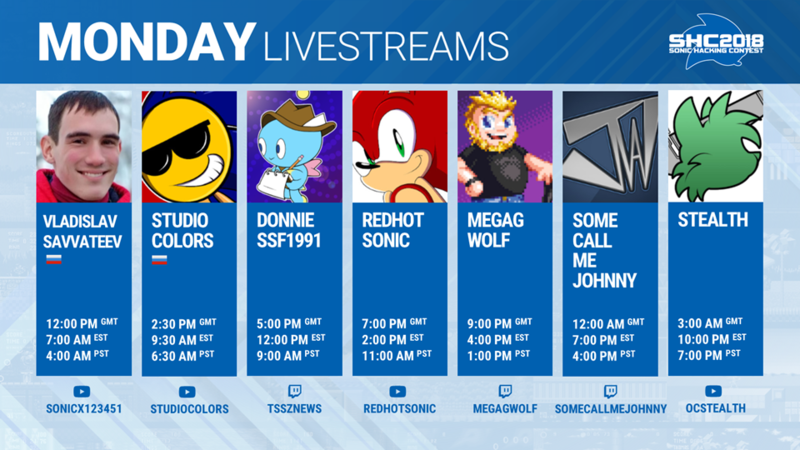 Don't forget to check out the Streams and Videos page linked previously as it is generally updated daily. The votes still are open? I logged with my account but, that says "You're not allowed to vote this entry". By the way, the weekend I will show my prefer hack that I liked, this expo is different to the last year. You can only vote for Contest entries, not Expo. If you are having issues with voting for Contest entries send me a PM to get this sorted. Okay, thank you Spanner, I'll be aware to notify you if something is wrong.